I always tend to have at least three projects on the go. Right now I’m finishing up a couple of Elephant Snuggles, plus an exciting design that is just about ready to share with you, along with the Convergence top, another Spring Shawl, and a vintage Dutch pattern that I’m translating and altering! And the yarn I’m going to use is the absolutely gorgeous Softfun yarn from Scheepjeswol. As soon as the elephants are done, I’ll get started. Can’t wait! Oh wait, I forgot. I’m also working on a Candace Scarf too! This entry was posted in Pinterest, Projects, Scheepjes, Scheepjeswol, Yarn and tagged crochet, etsy, scheepjes, scheepjeswol, softfun, yarn. Bookmark the permalink. 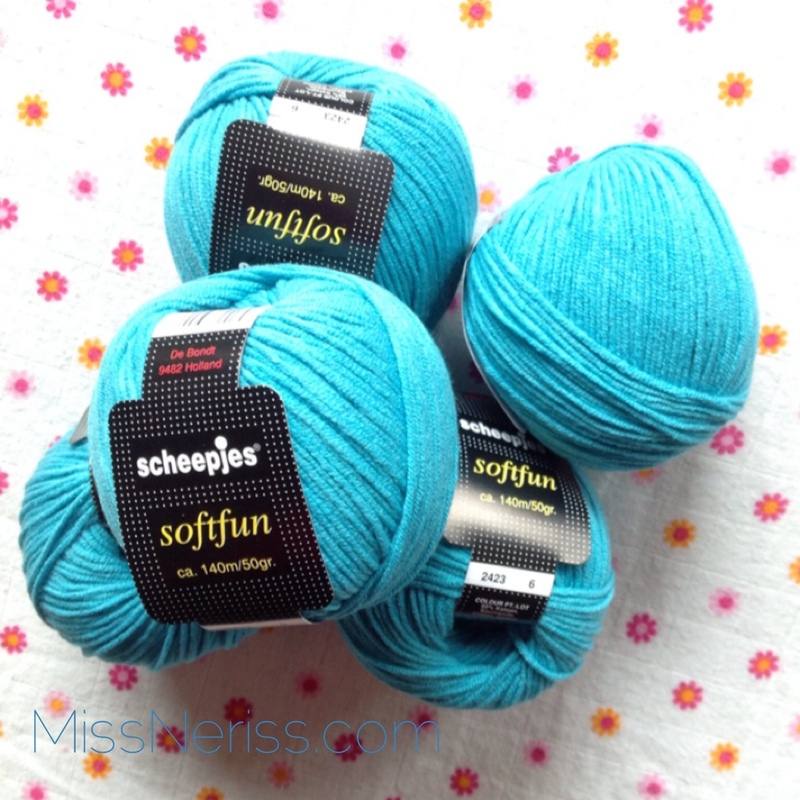 I have been trying to find a way to order/buy some softfun yarn from scheepjeswol but cannot get on to their website. Could you tell me how you were able to buy your yarn. I live in London. Exciting times! You must get your hands on some of the Softfun, it’s even better in real life. I’ve been busy smashing out projects just so I can get started with it! Many thanks for your prompt reply. Love your blog!